When Ryan Cutter woke up today, he was focused on getting to the gym and gearing up for his first day of business school. Then he checked the stock market. "I just looked at it and thought, 'Everything is on sale today,'" Cutter told CNNMoney. The Dow plunged over 1,000 points shortly after the opening bell at 9:30 a.m.
Cutter immediately logged into his Charles Schwab trading account. By 9:45 a.m., he was buying stocks. 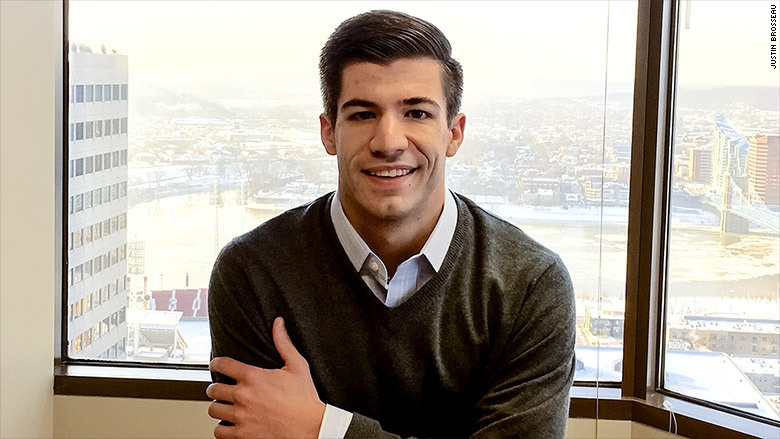 "I got lucky because I bought at one of the lowest points," says Cutter, who is in his first year at Indiana University's Kelley School of Business. He spent about $5,000 today, adding to his U.S. stock mutual fund holdings and buying two stocks: Disney (DIS) and pharmaceutical company Novavax (NVAX), both of which he has watched for a long time. "I believe Disney is a great buy," he said, citing the company's strong pipeline of movies, toys and theme parks. 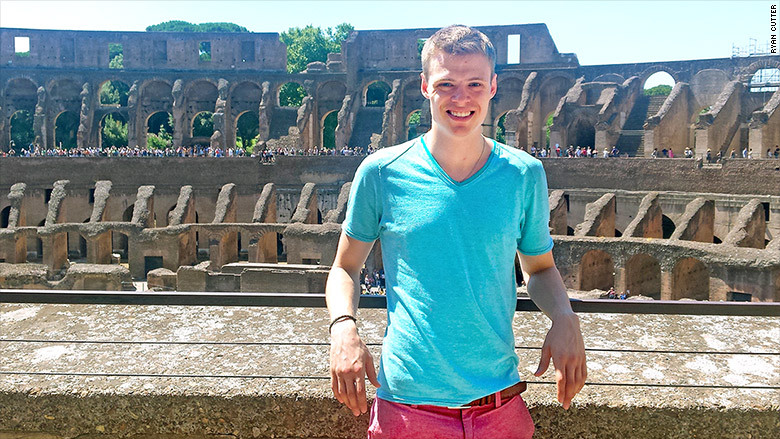 Ryan Cutter of Indiana on a recent trip to Italy. He has been investing since high school. This isn't the first time the 24-year-old has bought stocks. He started investing small amounts in high school with the help of his grandfather. Novavax finished the day about at the price he bought it at, but Cutter was able to pick up shares of Disney in the low $90s. It ended the day at $95.36. In other words, he actually made money. He emphasizes that he isn't a day trader. He figures he has at least 40 years of working life ahead of him. His philosophy is: "You have to be patient and look at the long-term picture. If stuff goes down, invest a bit more." Justin Brosseau of Illinois. He has been investing since high school. Stock market veterans say the same thing: stay calm. "Do not panic at this point. 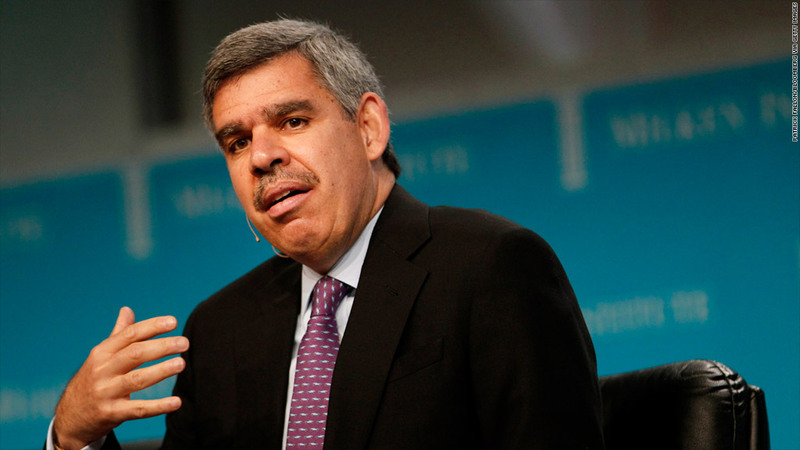 It's better just to sit back and let this play out and then look for attractive opportunities," noted investor Mohamed El-Erian of Allianz told CNN today. The average investor lost 2.8% Monday, according to Openfolio, an investment community where people share their ideas and portfolios. That's better than the overall stock market (the S&P 500 shed nearly 4%) because most people have diversified portfolios of more than just stocks. Justin Brosseau also saw the stock market selloff as an opportunity to get in. "The second I saw that 1,000 point downturn, I just thought, 'I'll regret this if I don't put a little in now,'" he told CNNMoney from Chicago. The 23-year-old had been watching the market closely lately, expecting a downturn. He did his homework: running analyses to see what companies looked good and what prices he wanted to buy at. When the market opened, Brosseau logged onto his Scottrade account to buy Disney, Apple (AAPL), Netflix (NFLX)and cosmetics company Ulta (ULTA). Unfortunately, a lot of people had the same idea and he found the website frozen. "Scottrade was having big problems with their system today. It was a rough day for that," Brosseau says. "I got my shares a lot later than I would have liked to." But his instincts were still good. While he lost some money today on Apple, he made money on Disney and, especially, Ulta. He bought the stock at $148. It ended the day over $158. Disney, Netflix and Apple were some of the most heavily traded stocks in the market today. He plans to hold until the stocks reach a value he thinks is a fair price. He knows it may go down more before it goes up. "I don't mind that there might be more slumps tomorrow," he says. "I've been raising money in cash to be ready."